Charity fighting hunger and food waste by saving in-date surplus food and redistributing it to charities across the UK. FareShare saves good food destined for waste and send it to charities and community groups who transform it into nutritious meals for vulnerable people. The food we redistribute is fresh, quality and in date surplus from the food industry and the charities we work with can be found across the UK. At the heart of FareShare are our volunteers. Across our 20 Regional Centres, they carry out a range of vital activities and we’re always looking for energetic and enthusiastic individuals to join us. Fundraising for FareShare will make a real difference to people affected by hunger across the UK. Click through for fundraising ideas – from obstacle courses to bake offs – and inspiration to get you started. Make a donation now or set up a regular gift and you’ll help tackle food poverty across the country. Keep up to date with our work. Follow us @FareShareUK, find us on Facebook and add your name to our mailing list to receive our monthly e-newsletter. 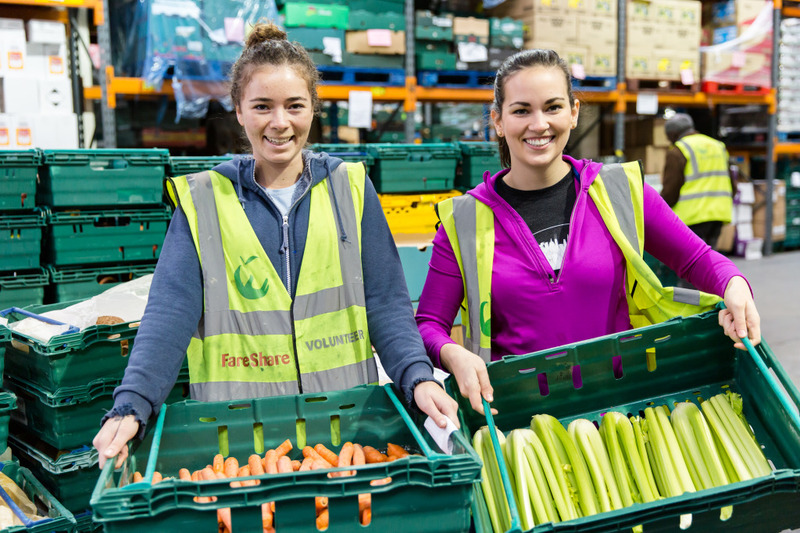 Charity FareShare aims to tackle food waste and food poverty sustainably by redirecting surplus food to charities across the UK and help feed over 82,000 people every day. We need your help to fight hunger in the UK. It’s the generosity and commitment of supporters like you that helps bring FareShare’s mission to life. You don’t need to go far either, the collection is taking place in Tesco stores across the UK so you can volunteer to collect donations from shoppers at your local store. Click on the Register button below to find out where your nearest store is.